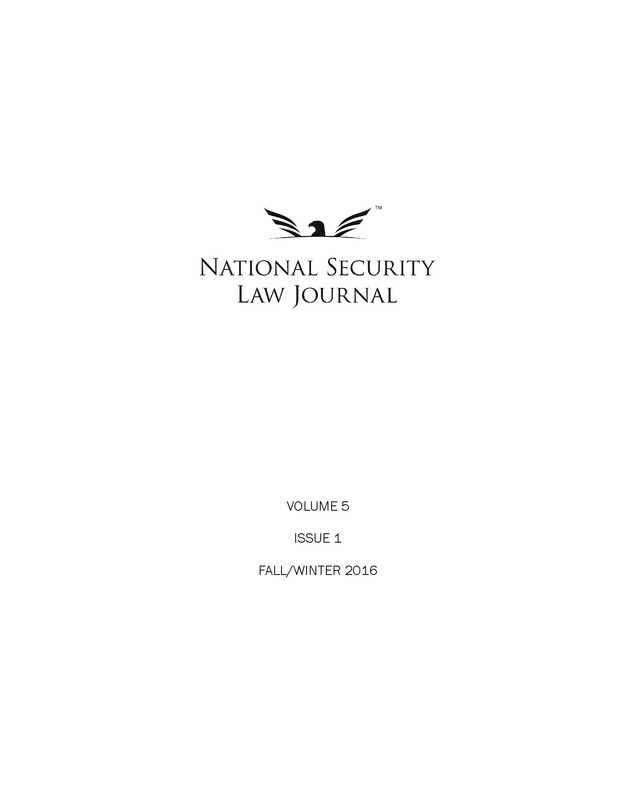 The National Security Law Journal is excited to announce that the print edition of our first issue is now available on Amazon.com. Each copy is now only $12.95 and eligible for free shipping with Amazon Prime. The National Security Law Journal at George Mason University School of Law released the print edition of its flagship issue today. Each copy is only $12.95 and ships in 3-5 days. Purchase the print edition now! The National Security Law Journal (NSLJ) at George Mason University School of Law unveiled its inaugural issue today. The new publication features scholarly articles in the field of national security law, including legal issues related to diplomacy, intelligence, and the military. This first issue contains three scholarly articles: a comparative analysis of the U.S. military and the People’s Liberation Army of China, by Captain Paul Stempel; a discussion on balancing the right to self-defense with preventing civilian casualties in military combat, by Christopher D. Amore; and commentary on the future of international port security law, by L. Stephen Cox. In addition, the issue contains student notes by Noah Oberlander, who examines due process in the context of targeted drone strikes authorized by the President, and Amy Shepard, who examines the right to counsel for detainees at Guantanamo Bay. You can now read the full issue online. The National Security Law Journal (NSLJ) is proud to announce that our inaugural issue will be published on Monday, March 18, 2013. The issue will include three scholarly articles and two student notes. Christopher Amore is a veteran of the United States Army. He served in Iraq from November 2005 to October 2006 and that experience inspired his article. Mr. Amore examines the origins of the Rules of Engagement (ROE) in military combat and argues that, while the standing rules of engagement (SROE) are designed to balance the achievement of national strategic objectives with the inherent right to self-defense, military leaders can tailor the theater-specific ROE to achieve specific military objectives. However, Mr. Amore asserts that ROE should never be at the expense of the right to self-defense. Stephen Cox is the director of the U.S. Coast Guard’s International Port Security Program Legal Division. He details the spontaneous creation of a body of international port security law post-9/11 and the role played by the United States. He catalogues the port security laws of signatory states to the International Convention for the Safety of Life at Sea while addressing many of the civil, criminal, and administrative challenges and conflicts facing this fledgling field of law. Capt. Stempel is a U.S. Air Force Judge Advocate currently serving at Ft. Meade in Maryland. His article examines the recent history of Chinese military law, the place of military discipline within the overall structure of the Chinese legal system, and current military laws and regulations shaping good order and discipline among the rank-and-file of the People’s Liberation Army. A comparative analysis of the disciplinary systems of China and the United States follows. Capt. Stempel utilizes his knowledge and experience gained from positions as an analyst on China and as an attorney at a law firm in Beijing. 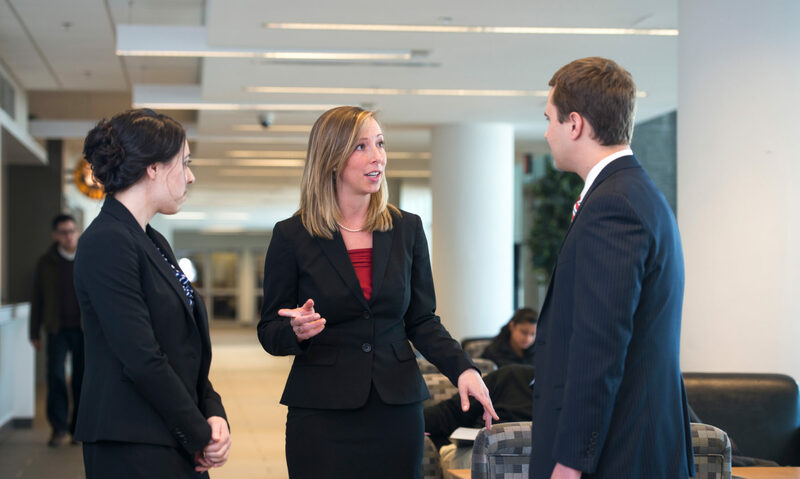 Ms. Shepard’s note analyzes the Department of Justice’s May 2012 changes to long-standing rules governing attorney-client relationships at the U.S. Naval Base in Guantanamo Bay, Cuba, through the court case In re Guantanamo Bay Detainee Continued Access to Counsel, No. 12-398, 2012 U.S. Dist. LEXIS 126833, at *24 (D.D.C. Sept. 6, 2012). The new rules remove attorney-client access from the court’s discretion. Instead, the new rules grant the Navy base Commander at Guantanamo sole veto power over counsel access to their clients and classified information. Under the new rules, the military, not the courts, are given the final and unreviewable discretion for settling any disputes that may arise. Ms. Shepard’s note details the legal analysis used by the District Court for the District of Columbia in its decision striking the rules down as an “illegitimate exercise of Executive powers” and provides public policy reasons in support of that determination. Ms. Shepard will serve as the Editor-in-Chief of the National Security Law Journal for 2013-2014. Mr. Oberlander’s note argues that President Obama’s targeting of American citizens like Anwar al‑Awlaki complies with the Fifth Amendment’s procedural requirement of due process by affording those citizens executive process. Critics argue that the Obama Administration’s targeting of al-Awlaki violated the Fifth Amendment because al-Awlaki was not given judicial process. Mr. Oberlander argues that, while judicial process is the most common form of due process, the omission of judicial procedure does not automatically violate due process. Executive process is a distinct and meaningful species of due process and upholds both a theory of due process as fairness and separation of powers. Executive process is a type of due process that ensures the President can accomplish those duties conferred on him by the Constitution as Commander-in-Chief. From the early actions of President Washington to the present actions by President Obama, executive process demands the President exercise restraint while exhibiting the discretion necessary to ensure our nation’s safety. Mr. Oberlander will serve as the Executive Editor of the National Security Law Journal for 2013-2014.